As the Rabbit Runs: Our Lives with Greyhounds: Happy Halloween! 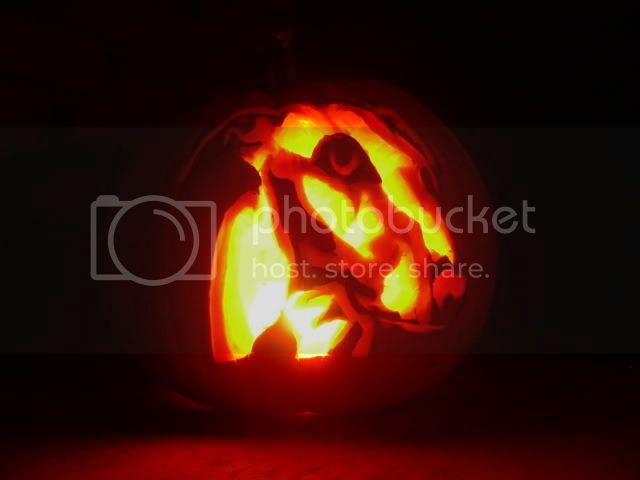 Just wanted to wish everyone out there a Happy Halloween and share my greyhound pumpkin! Yes - I carved it. I found a picture online, printed it, use a spiked-wheel tool to punch the pattern onto the pumpkin, traced the dots, and cut and carved my way to a greyhound head. Enjoy!